Again, I don`t think I`ve ever used these in a game.They are pretty gross gribbly beasts. Spitting acid and chomping and such. They kind of make me think of that great bug scene from the King Kong movie. I could see them as maybe something in the Underdark or in the rainforest underbrush. 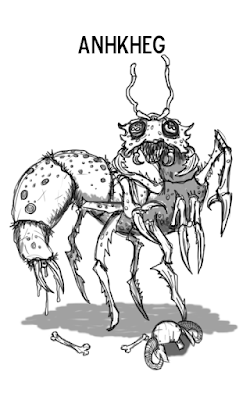 They make a pretty good random nonspecific bug type monster that isn`t a spider or beetle or ant. Ape tomorrow. 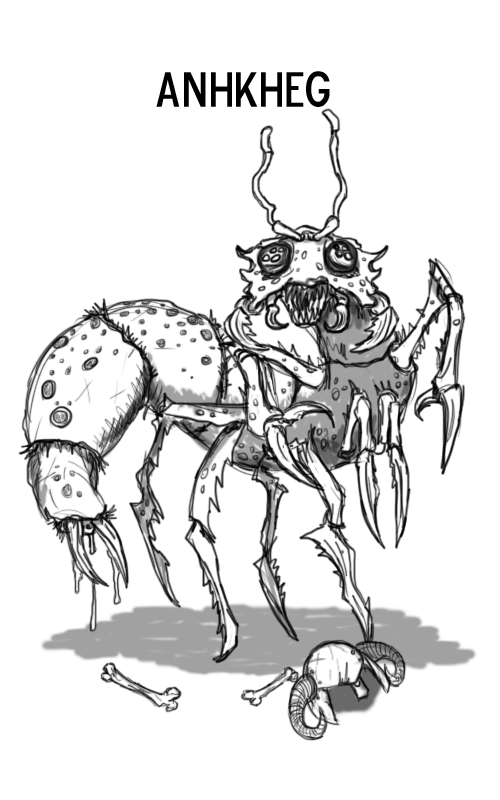 They make a pretty good random nonspecific bug type monster that isn`t a spider or beetle or ant. Ape tomorrow.